Nighat Khan is the founder and Managing Director of New Vision For Women, a UK community interest company (CIC) proactively empowering women from different cultures, backgrounds and life stages. After a successful career of 18 years in the city’s corporate and private banking sectors, Nighat entered the field of education, transferring her skills into schools, teaching adults and family learning. She also became an organiser of community events celebrating cultural diversity. 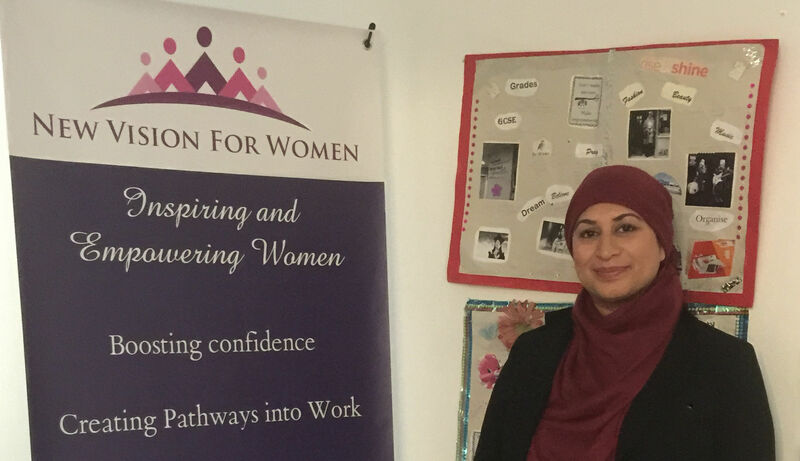 Nighat’s vision is to transform the lives of women through enlightened training courses which include: Confidence Boosting, Employability Skills, Family Learning and Health & Wellbeing, all of which were inspired by personal experience and close connections with the community. She believes that changing a woman’s outlook can empower her, not only enhancing her own life and opportunities, but also improving the lives of her family and extended community. As a working mother living in London, Nighat regularly juggles career and family commitments, and personally identifies with the countless daily challenges women face in the world today. With a proven track record of motivating and supporting women, Nighat has already enabled many to realise their full potential. Click here to see testimonials. Through New Vision For Women, Nighat is firmly committed to reaching more women and passionate about making a positive difference to our society.